Ines Hegedus-Garcia is an expert REALTOR® in South Florida, focusing on both commercial and residential real estate. 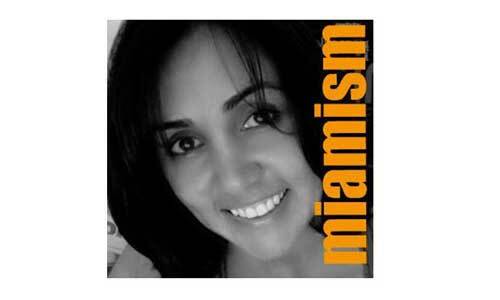 Her Miamism.com Web site is a well-known hub for real estate information for many neighborhoods including Miami Beach, Fisher Island, Surfside and Miami Shores. In addition to her real estate expertise, Ines has crafted a personal brand online as “the” expert on… mojitos! Miamism.com brings readers the latest news, reviews, videos and more relating to the minty drink. The “mojito” concept is used by Ines as none other than an ice-breaker and conversation starter. Check out the Mojito 411 section of her site for everything mojito. Ines was a guest speaker last summer for Realtor.com’s National Blogger Conference call, which focused on the concept of creating a personal brand for yourself online. Check out her presentation. She is also an expert participant in our Ask a REALTOR® Q&A feature, frequently submitting video answers to interesting questions submitted by home buyers and sellers. Since 1994, she and her partner, husband Enrique Garcia, have been focused on buying, selling, leasing, relocating, and other support services with Majestic Properties. Follow her on Twitter @Ines. Why did you choose to become a Realtor? As an architect, I found myself working endless hours with very little flexibility and free time. Real estate would give me the flexibility I needed for my family and personal growth, plus I would create and brand my own business instead of someone else’s. My husband and I first got involved in commercial property management and saw an opportunity in the sales aspect of the industry, we both got our licenses and never looked back to the corporate world. What part of being a Realtor do you take home with you? Unfortunately, being a Realtor is a 24-7 job, and that’s the part I would have never guessed in a million years. Even when we set parameters with our clients, I find myself never disconnecting, not even when we go on vacation. On a psychological level, seeing clients in distress or losing money on real estate transactions is always difficult to digest. But the opposite can also be said when you help someone achieve their home buying dreams. The business can be draining and at the same time very fulfilling. There will always be challenges no matter the industry, and attitude is always important to overcome adversity. Challenges include an unexpected and volatile real estate market, very difficult transactions because of changing industry policies, unrealistic client expectations and the very popular “unscrupulous” behavior by others in the industry. What ways do you brand/market yourself online/offline? Miamism as our brand has made our marketing a lot of fun and considered by many as innovative. We don’t follow regular or standard marketing parameters taught at real estate courses. We market Miami as “the” place to live and go out of our way to document why, via videos, photos, blog posts, interviews and our popular “mojito reviews.” The idea of our marketing, both online and off is that it’s not about us but about the lifestyle we can offer. What are the particular challenges in your local market right now? How do you stay positive and self-motivated in a down market? My “out” has always been creativity. Finding new ways of reaching our audience is what keeps me going and actually reaching like-minded clients makes the job extremely rewarding. The goal is working with people we have something in common with in order to enjoy what we do. What advice do you have for buyers today? Buyers need to set clear goals before they even start looking at properties. They need to prioritize on their needs and refine parameters in order to define what kind of buyers they will be and how to approach the buying process. Questions should involve a realistic assessment of the real estate market and objective perspective of the same at the very local level. Personally, I think this can only be achieved with a real estate professional immersed in the industry full-time, one that will be able to foresee responses and will be able to guide them objectively. What’s Ines up to these days? It’s not too difficult to find me at any given point because, as some may attest and protest, I AM EVERYWHERE!! At the onset of a down real estate market, I found myself looking for more efficient ways to reach clients and started blogging; that was just the beginning of my team’s on-line presence. Now you can find me in any and all of the social media platforms like Facebook, Twitter, LinkedIn, YouTube and Flickr. I’m consequently happy to announce that my involvement in those is not just to the extent of a profile, I have managed to create a community from my social media involvement, a community that offers reciprocal gratitude. I’m also always looking for different ways to promote Miami and our clients’ properties, and mass media often reaches out because of Miamism’s earned public credibility. From my weekly newspaper column, “Miami through my iPhone” in the Miami Sunpost to HGTV’s current casting for their show, “My First Sale,” where HGTV has reached out to us to help them find first time home sellers who have just started the process, or are ready to list soon. These buyers and their homes would be featured in a nationally recognized TV show along with me as their Realtor! Contact Ines if you’re looking to buy or sell in the Miami area, and check in with Realtor.com Blogs for more Realtor spotlights.